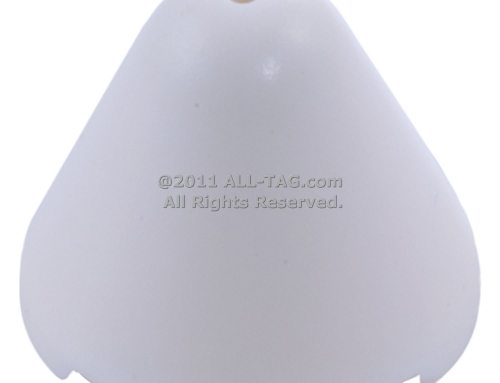 We currently have a large quantity of these RF Ink Tags in stock, so please contact us for special pricing. 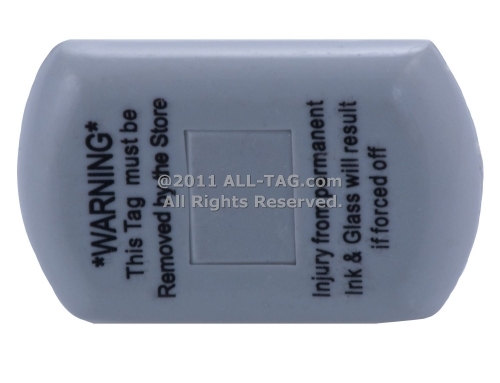 This Ink Tag offers retailers an attractive and secure RF hard tag/benefit denial ink tag combination. 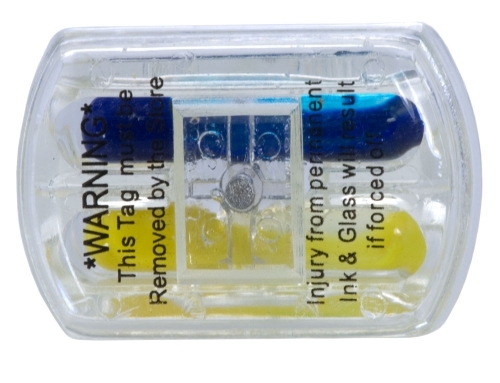 The tag is equipped with two ink vials, an RF circuit, and a SuperLock Clutch. 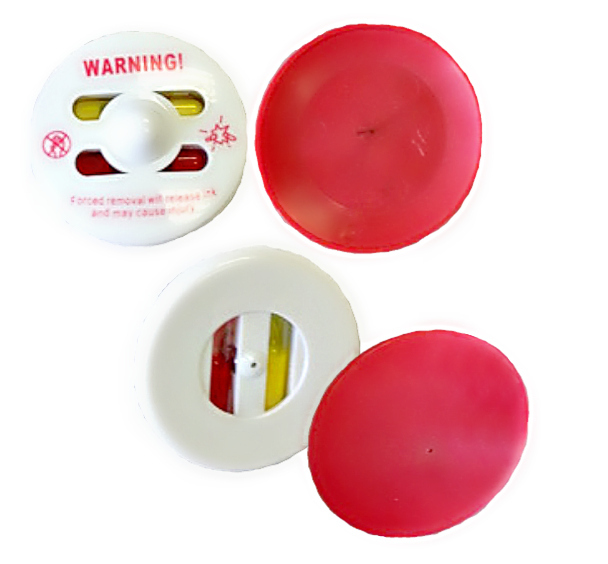 A large red plastic, dome shaped pin is used to connect the tag to retail merchandise. 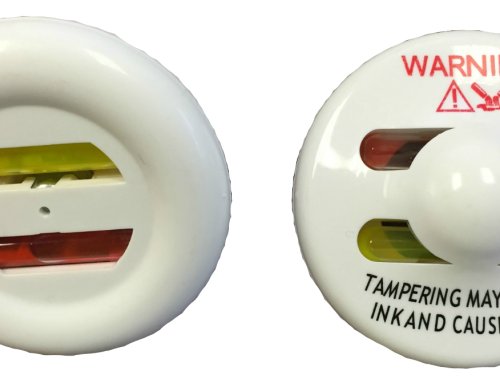 The diameter of the pin head is equal to that of the ink tag, and that makes it much more difficult for potential shoplifters to access and tamper with the pin shaft.